I am always on the search for fun lamps to incorporate into my clients spaces. It can get tricky though when we are having fun with a variation of a more basic color i.e. pink, but need it in more of a coral. Or teal. For such a statement piece you don’t want the color to conflict with the rest of the design. I happened upon Lamps plus and their option of customizing an assortment of their lamps and their shades using their color + plus. Hello! Heaven. To get started you select a color from Lamps Plus amazing selection of colors including those from Sherwin Williams, Benjamin Moore and Pantone. 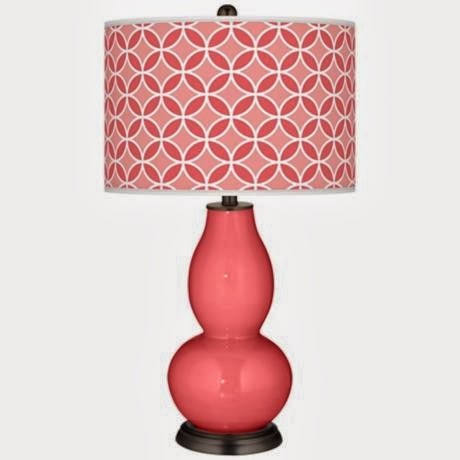 After you find the perfect color for your lamp base, click on it and then it is time to select your lamp shade. It is that easy and it is way too much fun!